There are only a few days left to enter the Super Teacher Worksheets September contest! 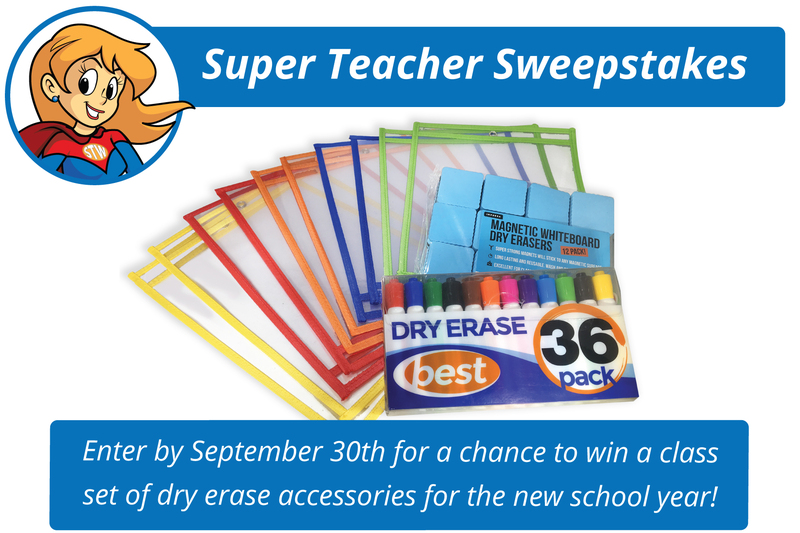 Get your name in the drawing by September 30th for your chance to win a set of dry erase accessories for your classroom. Good luck, everybody! Go to the Super Teacher Worksheets Contest Page.